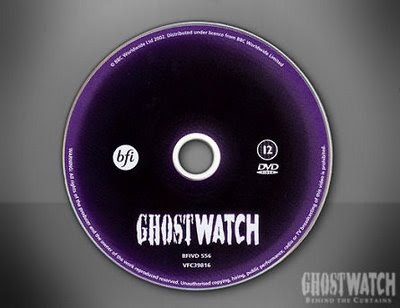 To mark the film's tenth anniversary in 2002, the British Film Institute released Ghostwatch on home video for the very first time. As the latter format had not entirely disappeared from the shop shelves, the film was also one of the last to be released on both DVD and VHS. The now sold out single-disc DVD edition (at present, a highly sought-after collector's item) featured a modest collection of extras and exclusive DVD-ROM content. The film itself was presented almost uncut - with two (technically) minor omissions being the Lambie-Nairn 'Spinning Globe' and Screen One 'boulder' idents, both of which immediately preceeded the main feature on the night of transmission. Technically speaking, the image transfer, presented in the original 1:33:1 TV format, is reasonably sharp and vibrant considering its age, suffering just one or two imperceptible glitches during the entire ninety-minute runtime. It goes without saying, the image plays even better when upscaled to 1080i/p by way of a HD Ready DVD player. The Nicam stereo audio track stands up remarkably well to today's standards - most impressive of all being the consistently high-quality sound design as overseen by the late Winston Ryder. On selecting 'Extras', you are transported from the Early sisters' haunted bedroom out onto the landing where you can then choose between the various special features and options. A sporadically scene-specific, though highly-informative audio commentary from Stephen Volk, Lesley Manning and Ruth Baumgarten touches upon a great many aspects of production during the entire ninety-minute runtime. A kind of precursor to Behind the Curtains, the mini-doc/featurette, 'Shooting Reality with Lesley Manning' provides even more info to digest - including how the director first approached the screenplay, and how she was later inundated with handwritten letters from a school class that had become enraptured by the film, post-broadcast. Three PDF text files are also accessible via DVD-ROM drive. These include the original treatment for Ghostwatch, a copy of the shooting draft, and the horror short, "Three Fingers, One Thumb", all by Stephen Volk. 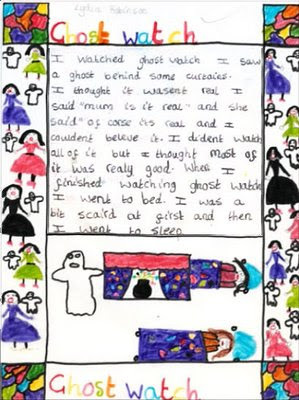 The treatment in particular, is a fascinating look at a Ghostwatch that never was - featuring several paranormal occurrences taking place all over the country as opposed to just one, and an even more thrilling climax in which Dr. Mary Pascoe implores viewers to "switch off their televisions before it's too late!" A brief but concise two-page collector's booklet penned by renowned critic, Kim Newman also lists several filmic comparisons for reference including Quatermass and the Pit, The Stone Tape, The Blair Witch Project, and The Last Broadcast to name but a few. Ruth, Lesley and I were contacted in 2002 very suddenly by the BFI who said "of course" Ghostwatch was one of the first titles discussed for their new "Archive TV" DVD series. (Although I think possibly Ruth or Lesley had contacted them, as we were all aware of the 10th anniversary coming up.) Anyway the timing was right and they acted very fast. The three of us were all very keen to contribute an audio commentary: both because we thought there were interesting things to tell, and put straight, but also to go on the record about our intentions in creating the drama in the first place. We all wanted there to be as many extras as possible on the DVD - (the Biteback programme, Sarah Greene's appearance on children's TV after "dying", and a selection of cuttings) - but none of these, sadly, was possible; just a version of the script and an early treatment, I think. The main thing was we had to act very fast because the BFI wanted to release it on the 10th anniversary of transmission, which would mean October 2002. This, by some mighty feat, they did manage to pull off, to their credit. So it is there for all to see, which was the main thing; there was no chance of anyone seeing it repeated on the BBC! 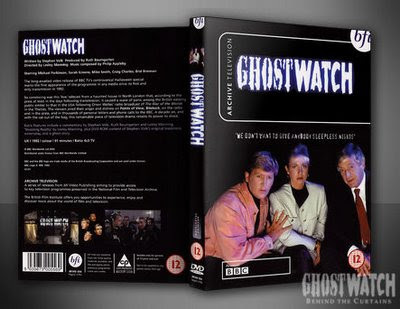 I really hope there is still a chance of a "Special Edition DVD" of Ghostwatch being released, this time with the extras, because those extras convey the aftermath and public reaction to the project, and the programme now seems almost incomplete viewing without them! Overall, it has to be said, the original DVD was very well received by fans and critics alike. If there was just one suggestion for improvement, it was for there to have been an even more thorough look into the conception, production and also aftermath that followed the film's first and only UK television broadcast. So, what's next, you might ask? Well, below is one possible direction currently under consideration... What would you like to see? 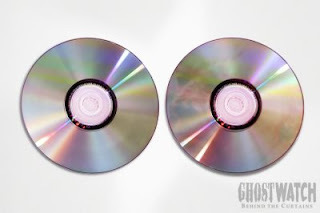 If you own the BFI single-disc edition of Ghostwatch (a review of which is coming soon), and have listened to the audio commentary, you might have heard director, Lesley Manning mention 'Harrying in' certain characters from time to time. 'Harrying' is a nickname given to digital compositing by way of the Quantel effects rendering machine, "Harry". Simply put, "Harry" was a broadcast-quality, digital recording system. The main difference between this and other 'analogue' editing machines was that Harry allowed video sequences to be stored, cut and mixed without degradation - a problem which often occurs when dropping generations on video tape. Using the system, separately photographed images of Pipes the poltergeist could then be superimposed onto other shots - most notably, the scene you voted as being the scariest glimpse of Pipes in our online poll, some months ago. In 1985, Quantel released the "Harry" effects compositing system/non-linear editor. The Harry was designed to render special effects in non-real time to the video recorded on its built-in hard disk array (much like most computer based non-linear editing systems today). The hard disk array used drives made by Fujitsu, and were connected to the Harry using a proprietary parallel interface, much like a modern-day RAID array. Technically, it was the first all-digital non-linear editing system, since it could also do editing of the video that was recorded on the Harry. Due to technical constraints of the time, the Harry could only record 80 seconds of video, albeit encoded in full broadcast-quality, uncompressed D1-style 8-bit CCIR 601 format. This aside, the Harry was quite an advanced machine, and the only system like it for its time. For more info on the "Harry" machine, click here to visit the informative site, TVArk.